After the explosive finishes and high-octane pace of the prelims, the main card took a slightly slower pace. This is by no means a negative reflection on the quality of the prelims but the anticipation surrounding the main card fights was near fever pitch. In an historic evening for Bellator in the UK, and throughout Europe, the European Series couldn’t have got off to a better start for Viacom backed promotion. With another UK show confirmed for May 4th in Birmingham, Bellator are showing that they mean business in Europe. Bellator’s head of Europe, David Green, confirmed after the fight that it’s their intention to bring even more shows to Europe in 2020 but with six events planned for this year, Bellator are committed to putting on the best European shows. Green also confirmed that they will continue to bring in overseas fighters, like Patricky Pitbull on this evenings event, for the European events. This is backed by the news that Brent Primus will be taking on Tim Wilde at the aforementioned Birmingham show. Back to this evening and the main card, historically televised on Channel 5, began with the middleweight clash between Fabian Edwards and Lee Chadwick. With Chadwick looking visibly bigger than the previous days weigh-in, Edwards had to endure his first three round fight against a plucky Chadwick. Although never really threatened throughout the fight, this was a learning curve for Edwards on moved onto 6-0 with a unanimous decision over Chadwick (30-26, 30-27, 30-27). Edwards felt that he could’ve won the fight in the first round after a stunning head kick, which would’ve flattened a lesser man, rocked Chadwick. However, the durable Chadwick dug in deep and saw out the round. Overall, this was a steady and professional fight from Edwards and one that will only bolster his hunger and desire to reach the top. After the fight, Edwards confirmed yet again that he wants Mike Shipman next as vengeance for beating teammate, Yannick Bahati. However, Edwards is brimming with confidence and will take on whoever is put in front of him with no questions asked. Following on from Edwards v Chadwick, we had the eagerly awaiting clash between Chris Bungard and Terry Brazier. What a performance from Bungard. With both fighters snipping at each other in the build up to the fight, this was always going to be a battle. However, Bungard put on a master class and saw off Brazier with a stunning display on the ground. Sinking in the rear naked choke at 2:06 of the first round, it was all done and dusted in the blink of an eye. To say Bungard was happy with the victory would be a massive understatement. With an electric atmosphere inside the Utilita Arena from the off, things were off the scale as Aaron Chalmers made his way into the ring against the unknown Corey Browning. Keen to notch up his fifth professional win, Chalmers was on the end of a third round defeat by submission (heel hook) to the humble Knoxville, Tennessee resident. Chalmers has made easy work of his previous four opponents but in Browning, he came up against a plucky and willing fighter who saw off Kevin “Baby Slice” Ferguson Jr in his last outing. Now with a 2-0 record in Bellator, Browning moved onto 5-2 in his professional career in what was the biggest fight of his career. Speaking after the fight, Browning was just happy to have his name on the event poster. With this victory, Browning has certainly introduced himself to the European market and will look to continue his fledgling Bellator career, which couldn’t really have gotten off to a better start. 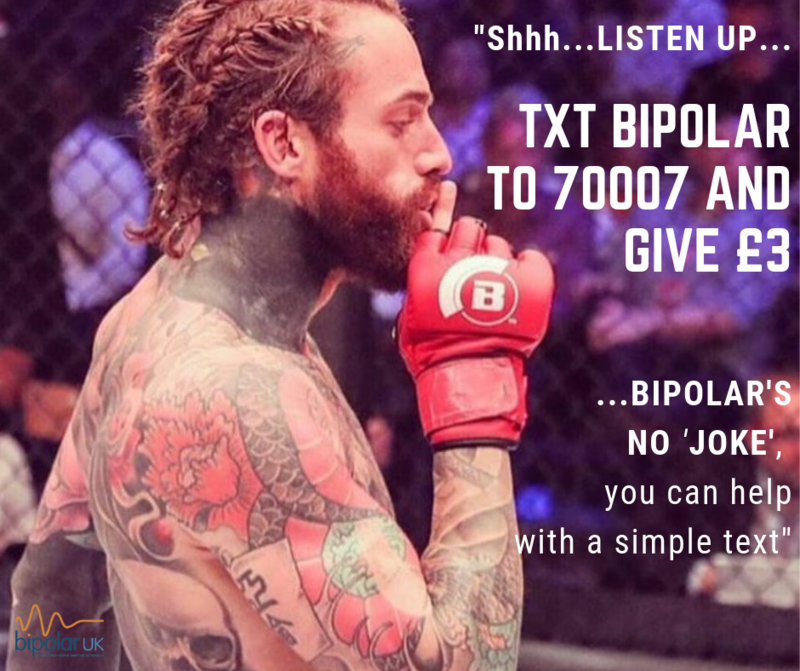 As for Aaron Chalmers, he can put this one down as a lesson learnt. Despite all the calls from people saying that he doesn’t deserve to be where he is, Chalmers is still learning his trade and that was clearly evident this evening. To say he doesn’t deserve to be where he is, is not only unfair but simply untrue. You could argue that he shouldn’t have been the co-main on this card but the fact is that he was. Chalmers is now five fights into his professional career so you have to give credit where credit is due. Granted he hasn’t fought anybody of note but how many fighters with four pro fights under their belts have? Back to tonight and his inexperience showed when he thought he’d got the big walk off KO in the first round, but much to his surprise, and those in attendance, Browning got back on his feet. In a sloppy second round, Chalmers tried desperately to finish Browning with a standing guillotine but to no avail. Again, this was more in part due to inexperience. Just 20 seconds into the third and final round, the fight was over. Browning had taken another scalp when he took the heel of Chalmers. Overall, it wasn’t the best fight but as mentioned, it’s a lesson learnt for The Joker. Speaking after the fight, Chalmers was in a reflective mood but didn’t have any arguments with the outcome. Chalmers has a strong team around him and will be back to face the haters in no time at all. The evenings event finished on a controversial note with Patricky Pitbull beating Ryan Scope by split decision. Many thought that Scope took the fight 2-1 but it was the Brazilian who took two of the three rounds when it went to the judges scorecards. Scope put on the performance of his life. After being floored in the first round, Scope regained his composure and began to pepper the left calf of Pitbull with some savage kicks. Pitbull’s leg looked in bits but in return, Pitbull was marking up the abdomen of Scope with some big kicks himself. With round one Pitbull’s and a strong second round from Scope, it all hinged on the third and final round. It was a very close fight and one that probably should’ve gone the way of Scope but it was Patricky Pitbull who took the split decision, much to the disappoint of the crowd. Overall, Scope handled himself extremely well against the well-seasoned Bellator veteran that is Pitbull. Defeat against the Brazilian is by no means a shameful thing and you can fully expect to see Scope to be back on track in the not so very distant future. 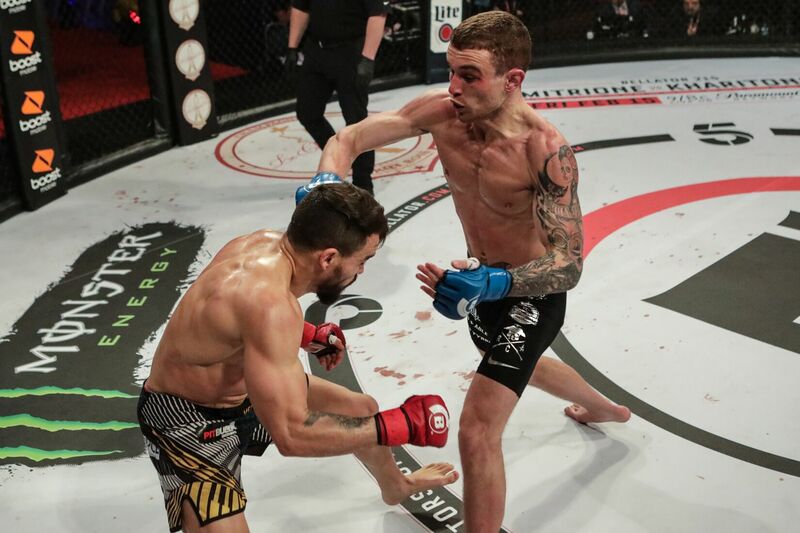 With nine first round finishes out of the fifteen fights on show, Bellator Newcastle delivered and set a high bench mark for the Bellator European Series. With the backing of Channel 5 and the much-celebrated Sky Sports deal, Bellator are here to stay in Europe and will be knocking loudly on the door of their UFC neighbours for worldwide supremacy in the MMA world.